THE PROJECT IS ENDED in Aug 2013. The e-fair stay open and accessible. Don't hesitate to look for innovative products and to stay in contact via the request form. You will find here a set of research products or outputs not already on the market, that our experts specifically selected. They are enough mature to be used at the expense of some additional efforts, and you will find here the relevant information for that. We have identified a wide set of projects and outputs, and the ones presented here are only a selection on the topics we consider may interest a wide audience. Should you have interest in one water topic, or are you looking for a solution to an existing problem, do not hesitate to search on this E-FAIR, or get in contact with us to express your needs, and we will seek for outputs/products that could solve your questions. 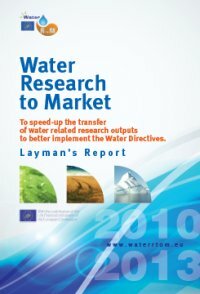 You have an OFFER of innovative output in the water domain? 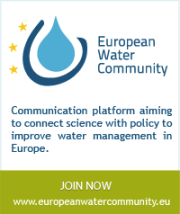 You have a DEMAND to innovate, please contact us: contact(at)waterrtom.eu in order to inform us. In the following you can use and combine the search criteria to select only those projects you are interested in. Procedure for testing the catalytic performances of the advanced catalytic materials for selective reduction of nitrate/nitrite ions to nitrogen in aqueous phase. Analysis of technical feasibility to directly use mechanical energy coming from a wind generator to power pumps installation of seawater desalination. Decision support system methodology for integrated environmental impact and risk assessment which was applied for water users (polluters) in 4 river basins. European Lakes Under Environmental Stressors. Integration of renewable energy sources (photovoltaic) in wastewater treatment. Technological collaborative platform to design and to evaluate scenarios of agricultural practices.